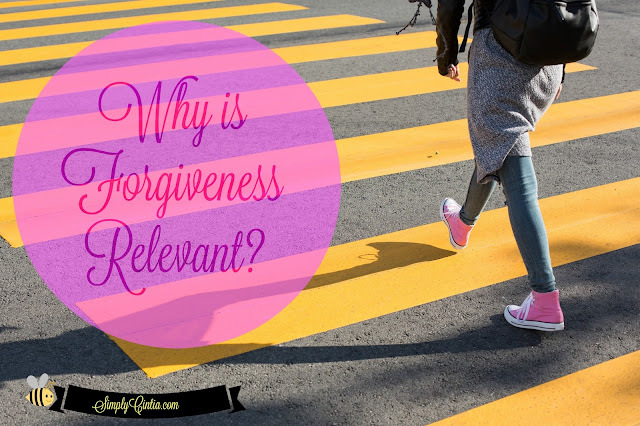 I thought I had learned all I needed to learn about forgiveness until I was introduced to the year of 2016. This year of my Lord Jesus has presented me with several opportunities to practice true forgiveness. Forgiving from the heart (Matthew 18:35) is true forgiveness. Forgiving quickly is the practical side I learned this year. Interestingly, the lessons from the past were no longer good because I was presented with new and fresh challenges. The answer to those challenges was still the same: go ahead and forgive. The opportunity to forgive sneaked up on me over and over again this year. I took all of those opportunities and God made something amazing inside of me: He freed me for joyful obedience with renewed trust. Forgiveness is something that people from all walks of life have the opportunity to practice. When were you first presented with this concept of forgiveness my friend? Truth is, we learned through the examples modeled to us more than the concept taught to us in theory. To be honest, you are teaching forgiveness right now to those around you. I have learned that if I don’t forgive from the heart, I remain in prison. If I do forgive from the heart, I am set free to get an upgrade from God. Much like those updates your phone and apps go through, your spiritual self goes through updates if you submit to God's perfect plan for your life. Forgiving is such an instrument. It gives us upgrades from God. My opportunities to forgive taught me that while forgiveness is about releasing others, it is also about the state of my own heart. By making the decision to quickly do it, I gain a free heart that is able to love others without bitterness. I also gain a free spirit. One that is able to pray in a way that God hears and answers (see Matthew 6:14-15). I wish I could tell you that my life became as colorful as a Disney movie because I chose to forgive. It didn’t. People and situations around me did not change, but Cintia changed. I learned that forgiving people is not an act of divine (or human) manipulation, but it is an act of obedience. Forgiving others is relevant because it frees me to live a better life. This new freedom I have found was costly but worth the price I paid. I paid for it through listening to the words of Jesus (as I read them in the Bible) and doing exactly what He asks me to do, which is to forgive others. Let's talk Resources: if you are struggling with the issue of forgiveness, go to God first. The Bible is the best resource for that. Look up everything about forgiveness and think about it. If like me, you need a little extra help on the subject, read Total Forgiveness by R. T. Kendall. I have read this book, listened to R.T. preach (hello Podcasts!) on the subject and I keep it handy because I often need refreshers on the subject. What R.T. does is, he takes you to the Bible and gives you real life examples of why choosing forgiveness is wise. I also must tell you that if you are angry at God, He can totally handle it. Go to God first my friend.